Hans Zimmer and Tom Holkenborg, aka Junkie XL, teamed up to score Zack Snyder’s new superhero epic Batman v Superman: Dawn of Justice. WaterTower Music will release the soundtrack on March 18th, one week before the film hits theaters on March 25th. Among the various configurations available is a deluxe edition that includes over 90 minutes of music, five bonus tracks, a fold-out poster, and liner notes from the composers. Additionally, the deluxe vinyl set features etched vinyl art and an album download card. The OST will also be released digitally and as a single disc CD. In anticipation, a 90-second preview of the score can be heard below. Junkie XL previously helmed the soundtrack for Mad Max: Fury Road and has also been charged with creating the music for the Deadpool movie. As for Zimmer, he’s scored just about every major film in recent memory. 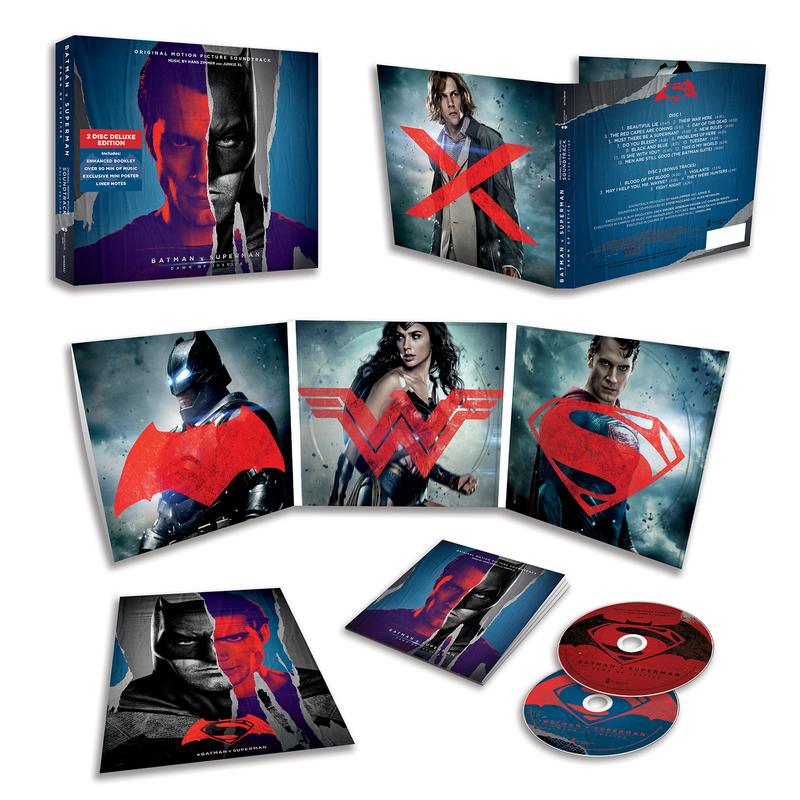 Below, watch Junkie XL discuss making the soundtracks for Mad Max and Batman v Superman.